He was a man of great simplicity and was a true Gandhian both in letter and spirit. His whole life was spent for the upliftment of the rural community particularly the downtrodden and the marginalized poor. His passion and vision for the emancipation for the rural India from the clutches of poverty and illitracy were remarkable. He was born on July 30th, 1909 at Alangulam near sivakasi. 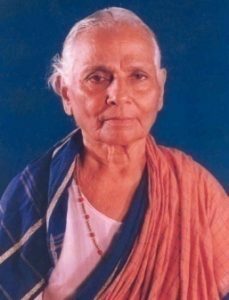 His father was Thiru.Gopalsami Naicker and his mother was Krishnammal. He was the eldest son. He had two brothers. 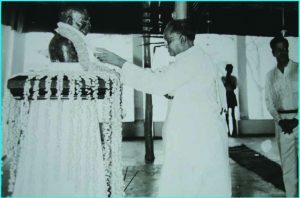 Our founder in his early days used to visit nearby Gopalaswami Temple quite frequently. 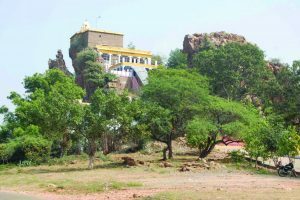 It is a hill temple and being a vaishnavite , he was greatly attached to this temple. He used to have spiritual retreats here. 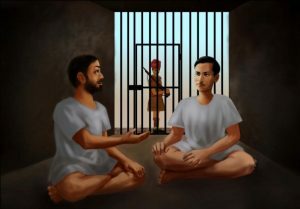 He used to spend time in meditation and observe fasting. This continued in his later days also. 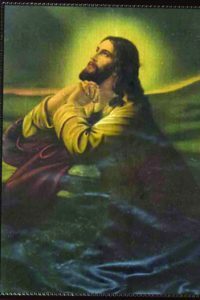 He finished his primary education at Muruganeri near Gopinayakanpatti. He continued his secondary education in Sivakasi and showed his interest not only in text book learning but also in spiritual and national issues. 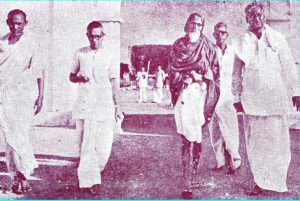 During the period he was at Sivakasi, he came into contact with Sri Narayanasami Nadar and Sri kalpoth Meenakshisundaram pillai from Colombo. They instilled in him the value of spiritual life and nationalism. The young boy could absorb them very well. 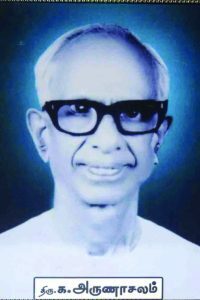 He was in contact with Narayanasami Nadar during his later life and helped his family after Nadar’s demise.He joined National college, at Trichy for his college studies. He used to visit Sri Rangananthan temple at Srirangam regularly every week. 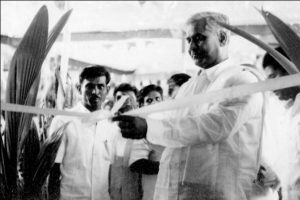 It is in his college days he developed debating skills and develoed contact with Dr. TSS Rajan a freedom fighter and a national leader from tamil Nadu. Dr Rajan was the initial political Guru for our founder. 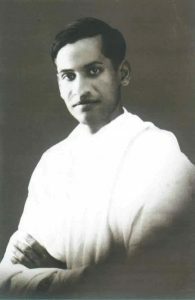 In the year when he was 25 years old he had the unique opportunity of spending a day with mahatma when he was touring Tamilnadu, on the way to Virudhunagar from Rajapalayam at Soolakkarai Medu. 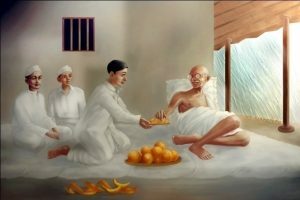 Our founder gave the prayer song for the evening prayer of Mahatma and had the opportunity to serve him fruits for his evening meal. It was indeed a memorable event in his life. 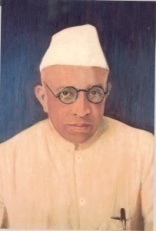 As a teacher one can inspire hundreds of his pupils to join the freedom struggle. That day he decided to become a qualified teacher that led him to join teacher training school at Pasumalai near Madurai. This was a blessing when he came under the spell of Rev. Loll Beer who was the principal of the training school. It was he who showed him the path of service to the poor. 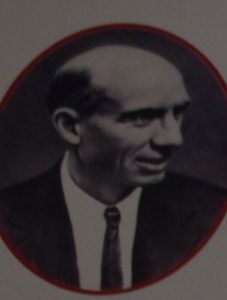 Founder joined him in all his village service activities. When he came out of the training school he rejoined his village school and it was here he experimented several path breaking reforms along with his colleagues and students. 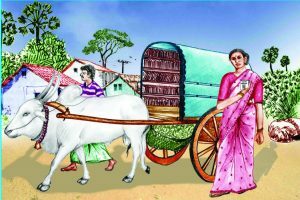 He drew a scheme for a period of five years which he called as five year plan for village service activities. He went to the nearby villages along with students and teachers for serving the people. He insisted that the students to show interest not only in studies but also in co-curricular activities. From these activities students can develop the qualities of Co-operation, Leadership and Mutual understanding. He showed the way to eradicate untouchabiliy by staying with the Harijan boys in their hostel. He also had the distinction of being featured in Harijan, a weekly edited by Gandhiji for his commendable work. 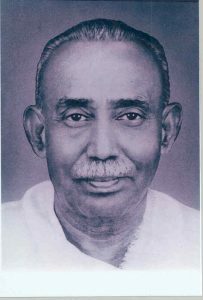 After three years in this school the nation called him to direct political activity which made him a member of Madurai district board from T. Kallupatti area in the year 1937. He was elected unanimously as vice president of Madurai district board. In this capacity he introduced many innovative development initiatives in the field of education and rural upliftment through the district Board. He worked for the integrated rural development during his tenure. He collected all the petitions and took necessary actions immediately in person. He initiated many schools in many villages. 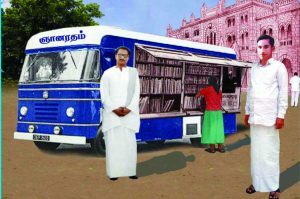 “Gnana Ratham” (Wisdom car) a mobile library originally invented by a village woman was inaugurated by our founder in Madurai District. In 1940 he founded the Gandhi Niketan Ashram .with the two fold aim of working towards rural reconstruction and imparting basic education to rural children as spelt out by Mahatma Gandhi. Eminent leaders like Shri.Rajendra Prasad, Shri. 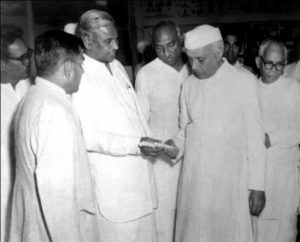 Thakar Baba andshriRameshwari Nehru participated in the constructive programmes organized by him. 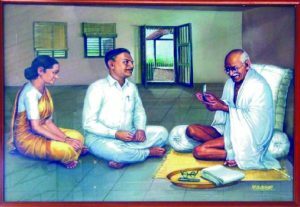 Again in 1946 when Mahatma came to Madras founder along with his wife had a meeting with Mahatma and offered the Khadhi cloth a shaving knife and a few other products made at the ashram as an offering to Mahatma. Mahatma, looking at the shaving razor he said, “ if it does not do its job he will hand it over to his kichen”and had a hearty laugh. 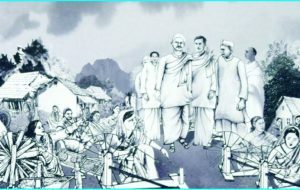 Gandhiji advised him to concentrate on training young men and women in national and rural reconstruction. 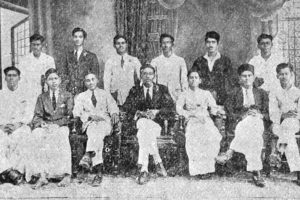 In 1944 Gandhiniketan launched a state level training programme for young freedom fighters in which eminent leaders of Tamilnadu were involved. 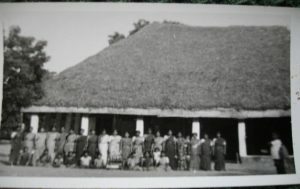 In spite of the oppressive measures of British government, the Ashram continued its activities in rural reconstruction. 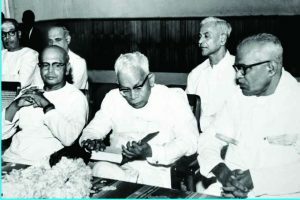 As a close associate of Rajaji, Kamaraj, O.P.Ramasamy Reddiyar, A.Vaidyanathaiyar, N.M.R.Subbaraman, Avinashilingam Chettiyar, Dr.Soundaram, G.Ramachandran and Sardar Vedarathnam pillai, Venkatachalapathy was a member of dedicated team of freedom fighters who worked for building rural India with full faith in Gandhian vision. When India attained Independence, O.P. 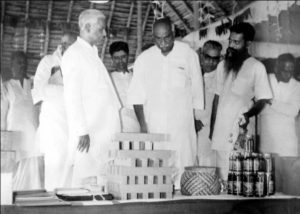 Ramasamy Reddiyar the then Chief Minister of Madras state invited him to head the rural reconstruction programme of the state government which was a singular honour. In the administrative history of India this was the first time that a constructive worker, was asked to head the Rural Development Department of a State as its Director. G.Venkatachalapathy went on as Additional Development Commissioner and Additional Secretary to the Government of Tamil Nadu for seventeen long years. In the administrative history of India, a constructive worker, no one except G.Venkatachalapathy could head the Rural Development Department of a state continuously for seventeen years and serve as Additional Development Commissioner. 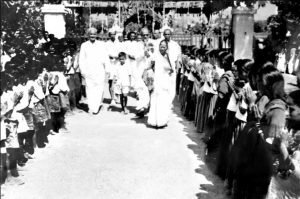 In the year 1952 when the Noble Laureate Martin Luther King came to Chennai in then government of Tamilnadu arranged a meeting with king to inform him of the rural developmental activities of Tamilnadu undertaken by the government. This was a significant event in his life. King himself visited our founder’s home and had long discussions. 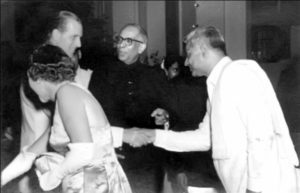 King was quite impressed with the rural development work under our founder and he visited him again on the next day along with his wife. Anybody coming in contact with our founder was quite impressed by his simplicity and commitment to rural development work. He was a prolific writer. 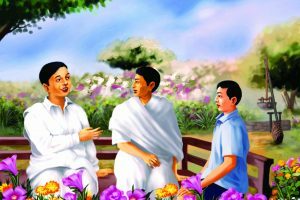 From his student days, he started writing several articles inviting the rural youth to join the freedom movement. He had a flair for literary writing also. His favorite poets were Mahakavi Bharathi and Thiruvalluvar. Wherever he went he quoted form their great works. 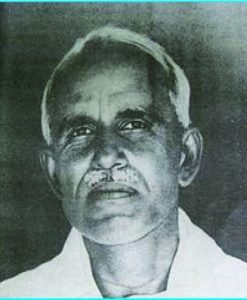 G.Venkatachalapathy also founded the Gram Rajyam Tamil Weekly in 1946 in what is considered one of the earliest attempts in Tamil Nadu to use the media for rural development. bringing out seventeen volumes of the collected works of Mahatma Gandhi in Tamil which indeed was a monumental work. 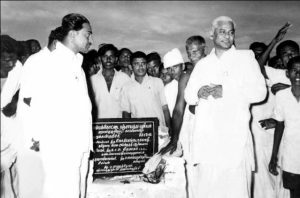 As a great lover of propagation of Tamil, he was the first officer in the Secretariat who used Tamil in the rural development department keeping the needs of the rural people in mind. 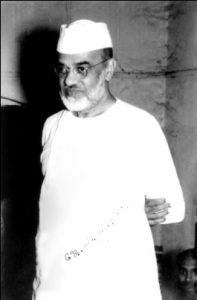 After leaving the Government of Tamil Nadu he was back to his ashram to devote his entire time guiding its activities till he breathed his last at the age of 60 in the year 1969. It is indeed a tribute to the Indian ethos that a simple ,humble man who started his career as a school teacher with a sole aim of moulding young minds and involving them in the process of nation building eventually went on to become a great architect of rural Reconstruction. Eminent national leaders like Rejandra prased, Vinobave, Jayaprakash Narayan, Kirpalini, J.C.Kumarappa and Sankara Rao Dev visited his Ashram. 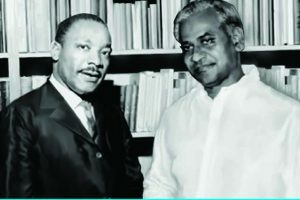 International luminaries like Martin Luther King and Schumacher interacted with him to know about the Gandhian Movement. 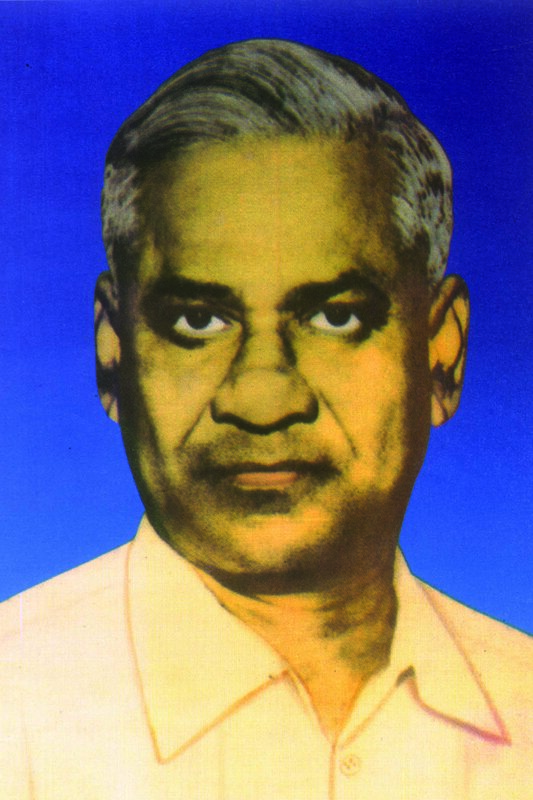 Our founder had come into contact with JC Kumarappa in 1948. When he was provincial firka development officer Dr.JC Kumarappa was appointed by the then government of Madras as president of a committee to go into working of firka development department and suggest ways to improve the work. Our founder was the secretary of that committee since then they become good friends. 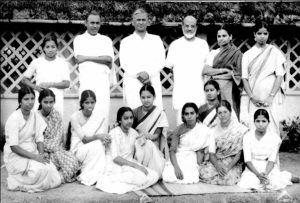 Later in the year 1954 when Dr.J C Kumarappa wanted to move from north to settle down in south our founder invited hms to stay at Gandhi Niketan Ashram. During Dr.JC Kumarappa’s stay at our ashram. he got our ashram registered under the societies act and did a lot of infrastrucres improvement of our ashram. 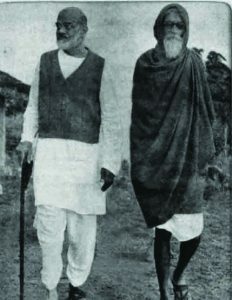 He took a very keen interest in the development of the ashram. He built his own kutil and several national leaders visited him. He took an active role in the implementation of basic education of our schools. 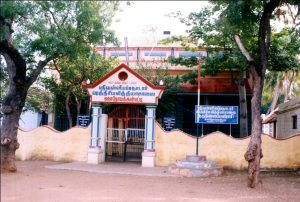 His greatest contribution to the nation was Gandhiniketan Ashram at T.Kallupatti, Madurai District, Tamil Nadu. 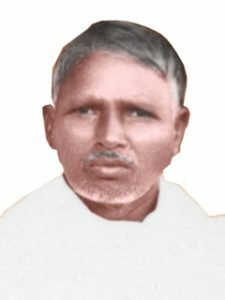 Long before independence at the age of 31 he founded Gandhiniketan Ashram in 1940 as a centre for training the youth of the country for the independence movement, rural reconstruction and emancipation of the marginalized and oppressed sections of the community and to give value based education to the rural children. 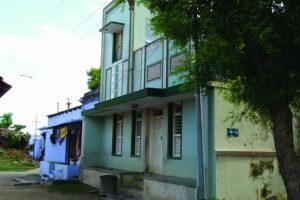 There is no single village in the State of Tamil Nadu Which he had not visited during his carrier as Additional Development Commissioner in charge of rural development and Panchayatraj. 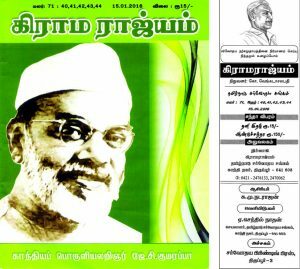 He had indomitable will and dedicated his entire life for the upliftment of the villages of Tamil Nadu.